In the following post, we shed light on a handy Magento 2 extension designed to customize the default sales orders grid. Meet the Extended Sales-Orders Grid module developed by Mageworx. 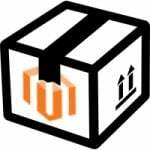 If you feel the necessity for extended functionality of the out-of-box Magento platform and look for a tool allowing you to track and manage all essential order data in one place, the Mageworx extended grid module is what you need for your ecommerce site. 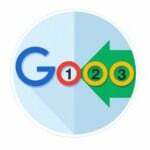 It allows you to add up to 28 new columns to the grid, leverage 20 additional order actions, as well as implement manual synchronization of order data. Below we give a closer look to the extension’s core functions and backend configuration. Install the Mageworx Extended Sales-Orders Grid module on your Magento 2 store and add a new column to sales order grid without any headaches. The extension offers 28 new columns with vital information. Enhance the grid with their help, and you will radically improve the default backend routine, since more data will be available right in the grid eliminating the need to view each order information screen individually. Thus, you can track additional order information in one place with all necessary details regarding an order, including used coupon codes, taxes, processed refunds, SKUs, and much more. The extended order grid also allows displaying detailed billing or shipping information as well as customers’ personal data. If any columns are no longer necessary, you can always hide them, making the grid more compact and easy to view. Besides, it is possible to improve it with the help of product thumbnails. Just add the appropriate column. 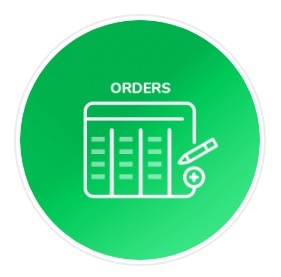 The module enables you to apply 20 extra actions to your orders at once, helping to streamline order management process. Available bulk actions include: resend order email, complete order, issue invoice, ship order, and more. 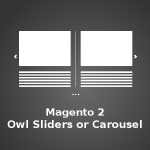 Besides, if you are looking for the ‘delete order’ Magento extension, the Mageworx Magento 2 Extended Sales-Orders Grid module will be helpful as well. 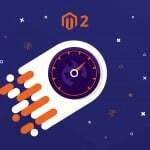 Default Magento 2 doesn’t provide the ability to delete unimportant orders completely, but you can easily get the desired feature with Mageworx. In addition to this opportunity, many more actions can be applied to multiple orders simultaneously. As for the additional order data synchronization, it is essential for auto-filling data in all the extra columns after the module is installed. Additionally, the feature may be useful when sales-order data from some external source is imported, and it is necessary to sync it with the data in your store. Note that such features as order color markers and comments, and orders archiving are not available now in the Mageworx sale-orders grid extension, but will be released soon. These were all key features of the extension, so let’s take a look at their backend realization. The configuration section of the extension is available under Stores → Settings → Configuration → Mageworx → Order Management. General settings are divided into three core blocks: Orders Grid, Order Base, and Order Editor. The first one allows synchronizing additional order data manually. In the Order Base, specify a checkout path. The third block provides the ability to select behavior for order modifications for Invoices / Shipments / Credit Memos, Order Items, and Shipping. First of all, specify how invoices and credit memos are updated after modifying an order: create new documents in addition to already existing ones or replace them with new invoices and credit memos. In case of shipments, one more action is possible: nothing happens to shipments after modifying an order. In Order Items, specify the default value for “Back to stock” option: return to stock after removing the item or decrease an item’s quantity. In Shipping, enable/disable automated recalculation of a shipping amount. Now, let’s visit Sales → Operations → Orders. Hit the ‘Columns’ button to view all available columns, which are divided into four groups: Order, Shipping, Billing, and Customer. Depending on your ecommerce needs, you can show/hide each column from each group. Also, note that the extension displays the number of columns that are currently enabled in the grid and the overall amount of available columns. Pay attention to the ‘Product Thumbnail’ column. It can contain multiple product images. As you can see, the Mageworx Magento 2 Extended Sales-Orders Grid extension provides vast opportunities when it comes to order management and customization of the default grid with sales orders. The module costs just $99, so don’t waste your chance to improve the default backend interface of your online storefront.